Sign up for InDepthNH.org’s free weekly newsletter here. Are New Hampshire’s electric customers getting ripped off? Four recent developments bring this question to mind. First there’s the May 22 decision of the New Hampshire Supreme Court. Basically, the justices reminded everyone that restructuring the state’s electricity business and abolishing vertically integrated electric utilities – ordered by the Legislature in 1996 – was not an end in itself but was supposed to make electricity cheaper. Second, Eversource was at the Public Utilities Commission last week with the results of its “default energy service” solicitation. Default energy service is what you get if you do not take advantage of your right under the Restructuring Act to pick a competitive electricity supplier. The Chicago-based energy conglomerate Exelon was the winning bidder to provide default energy service from August through January. To pay Exelon, the default energy service rate will go from 7.90 cents per kilowatt-hour to 9.41 cents – a rate hike that will mean almost ten more bucks a month for a typical residential customer using 650 kilowatt-hours a month. 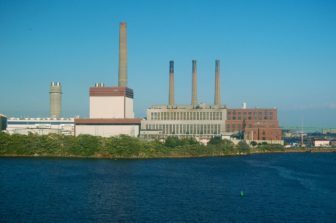 Third is the scheme that Exelon and its friends at the regional grid operator ISO New England have placed before the Federal Energy Regulatory Commission for approval. Exelon happens to own New England’s biggest generation facility – Mystic Station, just north of Boston. According to Exelon, Mystic Station will shut down in 2022 because it’s not getting enough revenue via competitive wholesale markets to stay in business. ISO New England hates that idea, in large part because Mystic gets its natural gas by cargo ship rather than via the capacity-constrained interstate pipeline network. So the regional grid operator wants to put the two biggest units at Mystic – 1,700 megawatts in total – back on “cost-of-service” rates. Translation: electric industry restructuring, at the federally regulated wholesale level, is not working so Mystic Station needs to go back on old-fashioned monopoly rates. The bill will go to every electric customer in New England, even though the retirement of Mystic Station would almost surely not cause the lights to go out in New Hampshire. Fourth is a 146-page report issued in late March by Attorney General Maura Healey of Massachusetts. Her responsibilities include serving as the Bay State’s ratepayer advocate. In that capacity, she concluded that residential customers in Massachusetts are losing out when they migrate away from buying electricity from their electric utility and purchase energy from a competitive supplier instead. “Low-income customers pay especially high prices in the competitive supply market,” the Massachusetts report continued. And communities with low median incomes, high percentages of minority households, and high percentages of households with limited proficiency in English paid higher rates to competitive suppliers than others. We haven’t done a similar study in New Hampshire. But our retail restructuring regime is essentially identical to the one in Massachusetts. Most of our competitive electric suppliers are also doing business in the state to our south. And there is no reason to assume a multistate business gets kinder or more virtuous simply by crossing the Massachusetts-New Hampshire border. 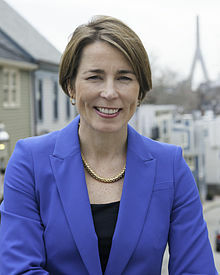 Attorney General Healey called for an end to retail choice for electric customers in Massachusetts – a concession, in effect, that restructuring the electric industry is a failed experiment. I’m not ready to go that far – at least not yet. But New Hampshire’s electric customers have paid dearly for restructuring – by my rough count, about $1 billion in so-called “stranded” costs. This money went to the former monopoly utilities to make them whole after being forced to sell off their generation assets to companies like Exelon. Given what New Hampshire customers have sacrificed, given what the New Hampshire Supreme Court has said, and given the never-ending troubles with federally regulated wholesale electric markets, we are approaching the point where ratepayers need some answers and some assurances. Maybe it’s as simple as requiring competitive electric suppliers to offer rates that equal or beat the default service available from utilities. Perhaps we need to prohibit competitive suppliers from automatically putting customers on a new rate plan when their initial rate deals expire. Or maybe it’s time for the Public Utilities Commission to open a formal investigation into whether restructuring has been good for our state’s electric customers. Consumers can definitely wring savings out of the retail electric marketplace. For example, as of June 18 one retail supplier was offering a fixed rate to Eversource residential customers of 7.87 cents per kilowatt hour for 18 months. When the Eversource default service rate goes up on August 1, a customer using 650 kilowatt-hours a month will be saving nearly $10 a month by using the supplier – Town Square Energy (which does business in New Hampshire, Massachusetts and six other states with retail electric choice). In other words, and with apologies for the mixed metaphors, you’d be able to claw back the ten more bucks a month that you’d be coughing up as an Eversource default service customer beginning in August. But you’d have to be a savvy rate-watcher to figure that out. Moreover, Town Square’s fine print specifies that at the end of the 18 months, they will automatically put you on another rate plan, with either a fixed or variable rate, at their discretion. They’ll send you a renewal notice (which you might or might not read), and if you don’t like the new terms you must opt out in writing. Bottom line: this rate is a good deal now, but it’s caveat emptor at the end of the 18 months. Town Square Energy has an owner: the publicly traded Genie Energy based in New Jersey. And Genie Energy has a chairman with a controlling interest in the company: Howard Jonas. He made his fortune in telecommunications, which was deregulated and restructured beginning in the 1980s. Last year, Jonas sold another company in which he had a controlling interest – Straight Path Communications – to Verizon. Jonas originally bought the Straight Path assets – mostly airwave licenses – for $56 million in 2001 and 2002. According to the Wall Street Journal, Straight Path racked up losses of $300 million – but then, thanks to a bidding war with AT&T, Verizon bought Straight Arrow from Jonas in 2017 for $3.1 billion. “We don’t sell things unless someone comes along and gives us an outrageously good price,” Jonas told the Wall Street Journal at the time. That’s good advice for buyers too – especially buyers of retail electricity in restructured states like New Hampshire.